Shrimad Bhagwat Katha is said to be the summary of all the hindu scriptures and therefore most popular all over the world. Many saints are spending there life by telling stories of shrimad bhagwat. This is one of the most holy book in which lessons are given about, how to live life successfully. It shows that path to get salvation easily in this Kalyug. It is said that listening bhagwat katha and telling bhagwat katha, both will attract the blessings of lord Vishnu and by blessings of god, life of devotees become successfull. If anyone listen bhagwag katha or read it devotedly then no doubt, unbelievable transformation takes place. If anyone listen the stories of bhagwat from any experience katha teller then no doubt , it takes devotees in trans. It brings health, wealth and prosperity. It is experienced that wherever saptah goes, negativity leaves that place. It helps in speed up the spiritual journey of anyone. One can get the way to attain salvation/moksha by listening bhagwat kataha saptah. It is one of the best way for upliftment of ancestors. Person can free from all type of sins if organize or read or listen bhagwat katha sincerely and devotedly. It free the vastu from any types of vastu dosha. A person can free from navagrah doshas. Many people are confused in these two holy books and here is clarification. Srimad bhagwat is a book in which the stories of lord Krishna is given in detail and Bhagvad Geeta is a part of shrimad bhagwat in which the discussion of Lord Krishna and Arjuna is given. This happened during the mahabharat War. When Arjuna become confused at the time of war then lord Krishna cleared the doubts of arjuna and motivate him to perform his duty without any fear and doubt. Bhagvat Gita was told by lord krishna to Arjun in Mahabharat and Srimad Bhagavat was told by Sukadev to king Parikshit. Due to curse king parkshit was going to die in 7 days and then he decided to know the way to get salvation in 7 days. Then Sukdevji told him the divine story of Krishna and because of this raja parikshit attain the supreme position easily in just 7 days. If anyone is not able to listen or organize bhagwat saptah then only reading or listening or organizing Geeta Paath is also good way to attain spiritual goal. Bhagwat geeta is the summary of shree mad bhagwat, anyone can easily understand the mystery of world by reading the bhagwad geeta. 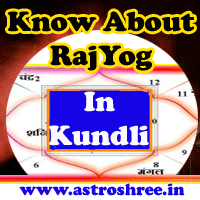 Answers of every question is there in bhagwad geeta. Lord Vishnu bless the person who devotedly read, organize, or distribute bhagwad geeta to devotees. It is my experience that every-time I read bhagwad geeta, it reveals something new concept to me. It helps me to live life freely and confidently. Great transformation seen in people who follow bhagwad geeta teachings. 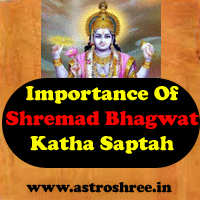 Shrimad bhagwat katha importance, importance of bhagwad katha saptah, difference between bhagwad geeta and shrimad bhagwad.